The beginning of 2018 for IAPB WPRO has included a round of workshops and membership meetings. During 2017, our membership consultation elicited key priorities right across the region. These have helped us develop a strategy for 2018, narrowing down our focus to the themes you, our members, have highlighted. In order to ensure that these remain relevant we will continue to consult throughout 2018, whether it be through individual visits or at major networking events – and of course your feedback will key to ensuring that we stay on the right track! Our key focus areas for 2018 include Myopia and Cataract Surgery Outcomes – stay tuned for major events addressing these issues, later in the year. In the planning phase at the moment, we’ve already held meetings in Manila with the WPRO regional office, with the WHO Technical Advisor Dr Andreas Mueller and consulted with stakeholders in the potential host countries. Our aim is to draw maximum attention and impact by collaborating with WHO on a regional level and ensuring that we get the right mix of government and public health professionals at these events. Of course, all members will also have the opportunity to attend. 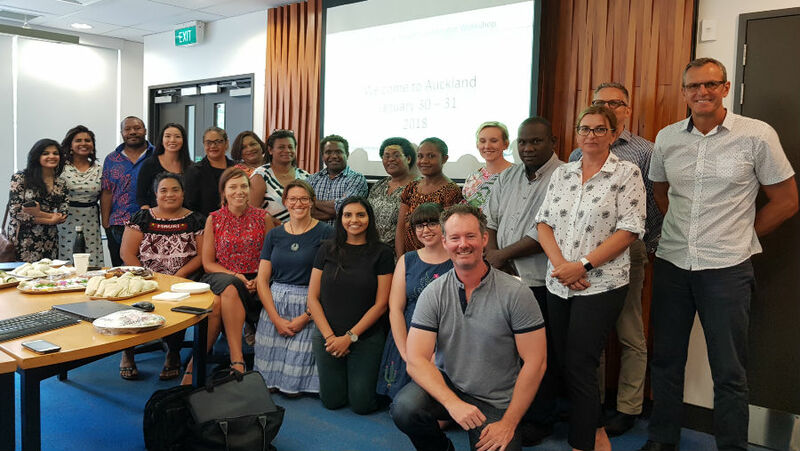 Meantime, Health Financing is a hot-button issue – we hosted a workshop, for Australian members that we dubbed “Health Financing 101”, in mid-Feb. So too is the need for translational data; we’ve supported workshops around RAAB outcomes in PNG and Laos. In PNG members have committed to a 20,000 cataract surgeries by 2020 target, whilst in Laos – at a meeting I left to write-up this note – the stakeholders agreed to develop ToR for an Eye Care Working Group as a first step to addressing RAAB results. In Laos, as in PNG, CSR and outcomes is likely to be at the centre of in-country efforts once the data is released. Finally, the first week of March hosted International Women’s Day. It was heartening and inspiring to see the articles and blog-posts that highlighted the (often fearless) leadership by women in our sector. I’d like to draw particular attention to the post by Jennifer Gersbeck from Fred Hollows Foundation Australia – in April, Jennifer, together with our Regional Chair, Amanda Davis will convene the first meeting of the Gender Equity Work Group. Look out for invitations and please get involved – there will be opportunities to take up positions within the working group at the first meeting. Amanda and I look forward to seeing you in the months ahead – please have look at the Western Pacific newsletter for more in-depth insights into some of the points mentioned here. And please do let us know if there is anything you would like to highlight.